Tiberius isn't the only paintball manufacturer with their hand in less lethal technology. 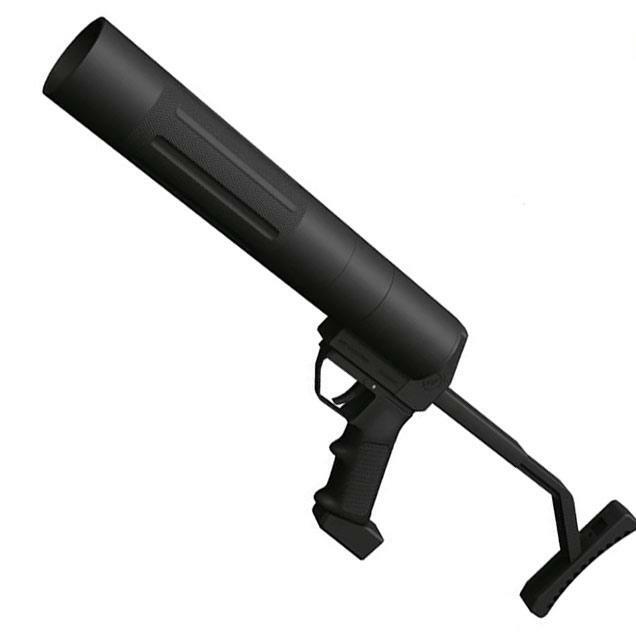 Lamperd Less Lethal, a Canadian based company, sells a 44mm pneumatic launcher based around the popular (but from rumours, soon to be completely unavailable) Metadyne HAVOC Launcher. They don't explicitly state that anywhere, but it's pretty obvious in comparing the less lethal launcher (seen above) and paintball launcher (seen below). 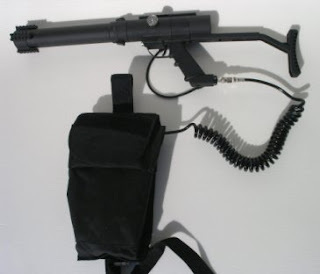 One gripe I have is where are the pressure gauge and picatinny attachments for the HAVOC? I guess Metadyne just loves their (probably higher paying) less lethal clients more.